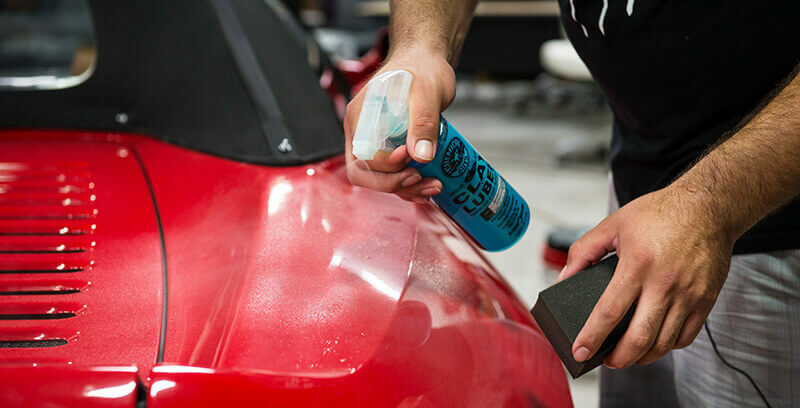 The loss of the shine of the car is due to the contamination that is embedded in the paint, a problem that can be solved easily. When it comes to our vehicle, pollution is that entire external element that is embedded in the paint causing a loss of brightness and affecting its physical level. Mainly comes from industrial pollution, but also from the dust of the brake pads, tar, bird droppings, and charcoal from the exhaust pipe, etc. These particles are not removed with a wash and also can oxidize by creating corrosion points on the surface by weakening and damaging the vehicle’s metal. Using a ‘clay bar’ can be an effective remedy. How to do it? With these steps and tips. The contamination of a vehicle’s paint does not depend on its age but on its exposure to pollutants. The simplest and easiest test to detect is to use a plastic bag to cover the hand before exerting light pressure on the paint: if it is rough, it is contaminated. As a general rule, you must decontaminate before applying any other treatment. In this process there is a key element on which the tips to decontaminate the paint of the vehicle. It is the ‘clay bar’ its main virtue is that it traps dirt (pollution particles, tar, spray paint) inwards and, above all, without being abrasive. There are many types depending on the hardness, size and color, but it is recommended to choose one whose hardness is minimum to eliminate all contaminants. The ‘clay bar’ is not the only thing that is needed: to the pack you have to add quality microfibers and a ‘quick detail’ or lubricant; if you do not have soapy water you can use it (always using the double of the proportion that is used for the wash). Wash and dry the surface you want to decontaminate traditionally or using a “quick detail” or cleaning lubricant to clean car bodies or interiors. It is advisable to divide it into zones of 40 or 50 centimeters to keep an order and not forget any part. In addition, it is better to carry out this process in the shade so that the ‘quick detail’ does not dry on the paint. After spraying a small amount of lubricant on the area to be treated, it is time to pass the ‘clay bar’. The movements must be longitudinal: first horizontal and then vertical. The logical thing is that at the beginning some resistance is perceived when passing the ‘clay bar’. It is a feeling that is disappearing as the pollution disappears. When this happens, you have to clean the remains of the lubricant with the microfibers and move to the next area. During the cleaning process it is necessary to take into account several aspects about the clay bar: from time to time it is necessary to check that there are no larger particles than normal that can scratch the paint and when it is dirty you have to knead it until you find another part that is clean and if it is not possible, it is time to throw it away. Once used, you must apply lubricant to keep the moisture and keep it in a hermetically sealed container. After decontaminating the vehicle, it is recommended to wax it or perform a smooth polish, but these are optional steps.